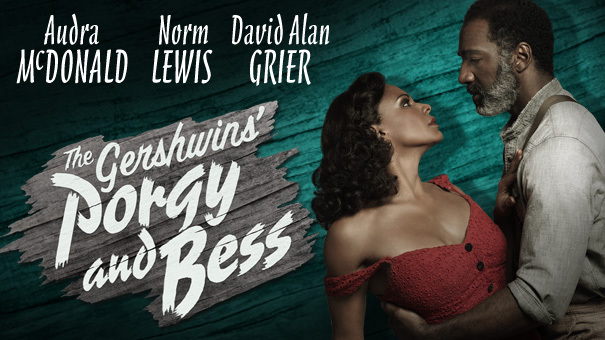 OK - I know it's December, but let's just hold the Tony Awards now and give them all to The Gershwin's Porgy and Bess. Let me be the first to admit: I am not an opera person at all. I've never seen Porgy and Bess though I know the music as just about everybody does. The production that is in previews on Broadway may make me want to check out an opera or two. Let's start with the voices. Audra McDonald has a gorgeous instrument. She manages to have a legit quality voice without sounding "opera-y." Her voice is crystal clear and soars in this production. The opening number - as us theater queens would call it - is "Summertime," sung by Nikki Renee Daniels - a gifted soprano. Audra revives it later in the show and it sent shivers up my spine. Norm Lewis as Porgy has a beautiful voice and lands each of his songs effortlessly. Everyone, including Lewis, has the acting chops to back up their splendid voices. Porgy has a severe leg deformity and, in the opera, travels around on a cart pulled by a goat. In the Broadway production, he walks with a "stick" and eventually gets a leg brace. Having worked with someone with a similar disability, I was struck by how precisely and genuinely Lewis gets down the limp. I think it's more effective than being carted around because his herculean effort and resolve to walk really fleshes out the character, and it's heartbreaking. I was skeptical about David Alan Grier as Sporting Life. 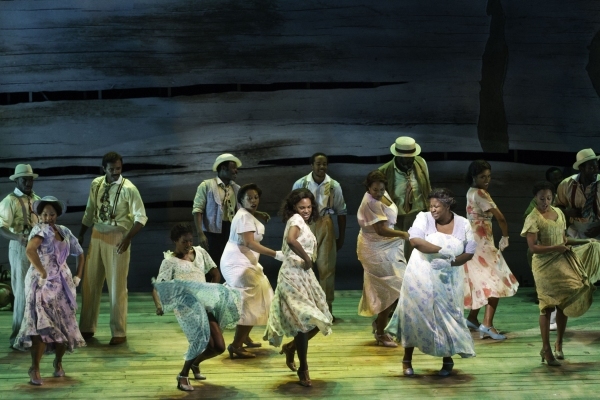 Particularly in "It Ain't Necessarily So" he seemed to be out classed as everyone in the production has an incredible singing voice (and acting and dancing skills) and Grier's voice is merely serviceable. But he really pulled off "There's a Boat That's Leaving Soon" (for New York). It was then I realized that he is perfectly cast. Similarly, Audra as Bess has a hideous scar on her left check which fleshes out the character well. I think she may have to figure out a place to put her 5th Tony Award. And a special shout out to Joshua Henry as Jake, Philip Boykin as Crown and Natasha Yvette Williams as Mariah. There's not a weak link in the cast. It's also interesting that there is no music for the bows, as is done with operas. The audience went wild, so while there was no music to accompany the bows, the cheers from the audience made up for it. The only thing I would quibble with is the set. It's extremely spartan - Catfish Rowe is just a bunch of boards mounted haphazardly, to the point that when Porgy nurses Bess back to health in his bed, his room is defined by a sheet and pillow on the floor. So, no Tony Award for best sets. But take this advice: get thee to the Richard Rodgers Theater and buy yourself a ticket before Porgy and Bess becomes as impossible a ticket as The Book of Mormon. I was walking Hubbell along Riverside Park today and suddenly, I was famished. It was 3 o'clock and, so far all day I had only had a bowl of cereal with strawberries and raisins. 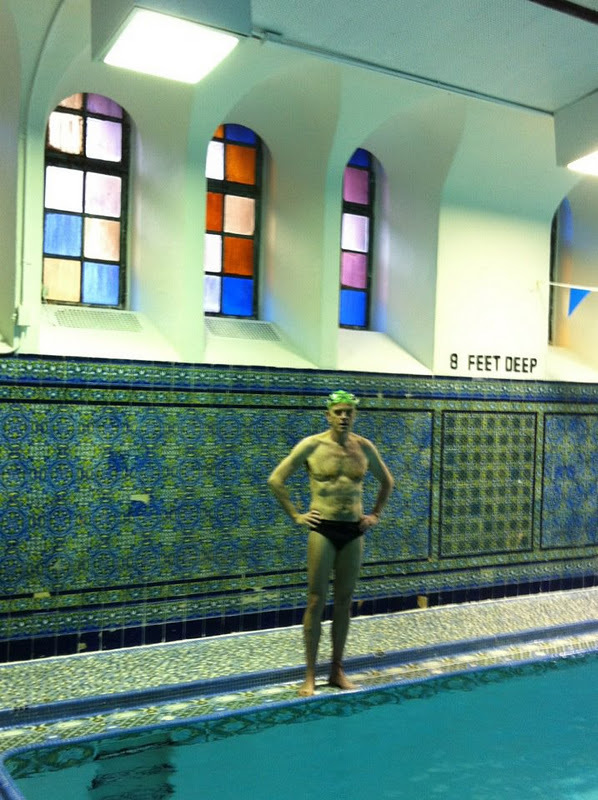 This morning, I took a spin class and swam for a half hour. Despite my aim to watch the carbs, I knew I had to have a sandwich. During spin I burned over 600 calories, according to my heart rate monitor, so some carbs would be OK. I've stopped buying Bumble Bee tuna in water because the tuna was getting mushy. Even though the can said albacore, which I consider to mean it will be solid tuna, it was still like baby food. I recently started buying imported Italian tuna in oil and the difference is night and day - the tuna is solid and the oil gives it a nice taste. True, the olive oil has fat, but it's "good" fat. And, with the tuna in water, I'd add mayonnaise which has calories and fat, so I consider it a wash. All I add is a bit of champagne vinegar and lemon and it's done. The radicchio adds a nice color and it tastes great. Just bear in mind that canned tuna is high in mercury so plan accordingly. And, during the holiday season, it's always good to remember to have something to eat before the cocktail hour! 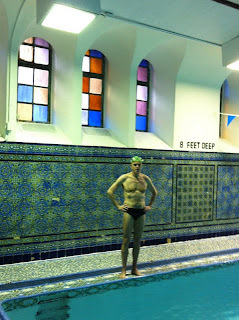 Yesterday my workout consisted of a total body conditioning class with Julie for an hour, core strength with Julie for a half hour, spin with Kathy for 45 minutes, and a half hour swim. After all of that, I thought I could eat just about anything I wanted, though I kept things in moderation. I made sure to have a good lunch (turkey chili and pita chips) so I had food in my stomach when the civilized cocktail hour arrived. My friend Stephen (to my left above next to Marianne) drove to NYC from Provincetown to see the Radio City Christmas Spectacular. He stayed at a hotel across the street from my apartment called On The Ave with his (our) friend, David. It's a great hotel, and they have a terrace on the 18th floor - it was warm enough to have cocktails on the terrace (Hubbell was there but skipped the cocktails). 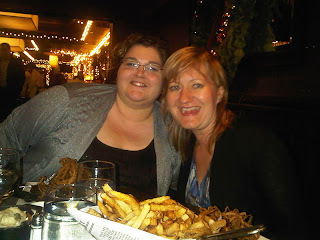 We had dinner afterwards at Coppola's, also in my neighborhood. As I posted yesterday, I had eggplant parmesan and it was delicious. Tomorrow, I'll take cardio body sculpting with Julie, and then I'm seeing a special holiday matinee of The Gershwin's Porgy and Bess. I'm going to try to do my Christmas Eve and Day food shopping on the way home. The stores here get absolutely packed during the days preceding Christmas, so wish me luck. I at least hope to buy a turkey to cook on Christmas. 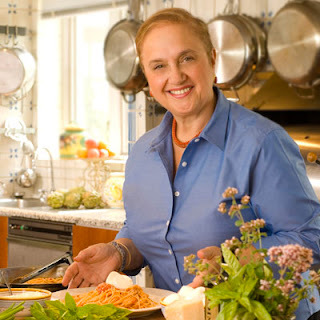 I will wait until Saturday to do my Feast of the Seven Fishes shopping for that night. If the stores are too jammed I may have to come up with a Plan B. Stay tuned . . . I have the good fortune to work for a company that closes for two weeks over the holidays. 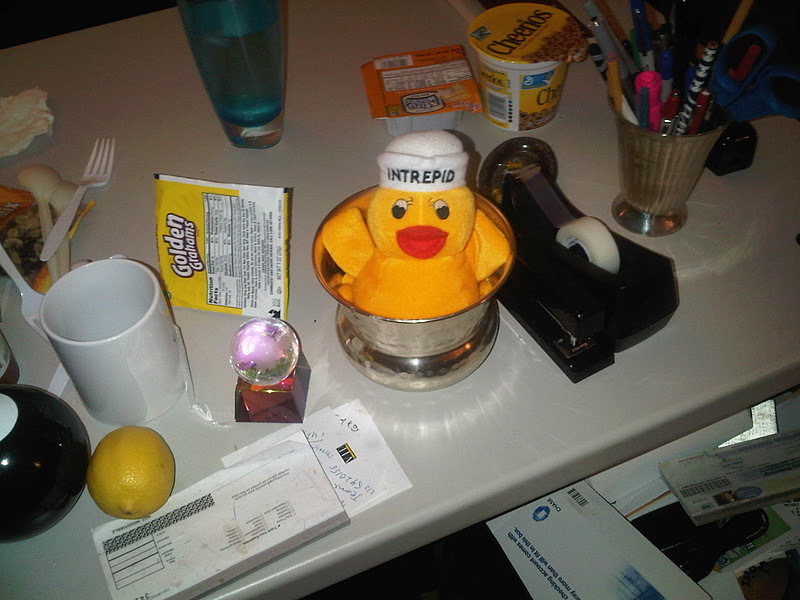 My last day in the office was December 16th and I don't return until January 3rd. Try not to hate me. If it's any consolation I'm working from home for an hour or two each day - the ticket and travel business never takes a vacation. When I'm working I have a huge salad for lunch that I make at my desk. I have a side of a low fat soup such as lentil or split pea. At home over the weekends I usually have a sandwich on a brioche roll. When I'm on vacation I like to change the usual routine so I won't be having salad every day. But I don't want all that bread from the sandwich either. So, I've had the radicchio roll ups and today I had turkey chili. In a skillet, heat oil over low heat. Add bell peppers, onions, and garlic. Cook until tender. Add beans, tomatoes, water, turkey, chili powder, coriander, red pepper flakes, and salt. Simmer 25 minutes. I really think the key to getting - or staying - skinny is to cut out red meat altogether. But that doesn't mean you have to give up burgers. I've posted about salmon and tuna burgers - and have featured chicken burgers, too. This recipe is just a bit different. The important thing to realize about chicken burgers is that you have to be careful not to overcook them - they can become dry very quickly. So I make the burgers really fat - I fry them in my super-hot cast iron skillet just long enough to get the grill marks - about 3 - 5 minutes on each side. Then I finish them off in the oven - at 350 degrees for about 8 minutes. To keep them juicy I cover them in sauteed cremini mushrooms with garlic, shallots and lemon. Wipe the mushrooms clean with a damp paper towel - don't wash them. They will absorb the moisture and become water logged. That's a great thing about mushrooms - they are absorbent. So they drink in the flavors of the lemon, butter, extra virgin olive oil, garlic and shallots. Just be sure they don't drink in a ton of water or they're ruined. While the chicken is finishing off in the oven I prepare the cremini mushroom mixture. I start with the mushrooms because they take the longest - after a few minutes add the shallots, lemon and garlic - in that order. Garlic burns very quickly and easily so save those for last. If you look closely you will see that there are kalamata olives in the mix. They really didn't stand out so I omitted them from the recipe - but if you like them, toss them in and see if you like the taste. A thing of beauty is a joy forever, or at least until you eat it! This dish has a number of ingredients. It's a good idea to be your own sous chef and prepare everything before you start to cook. I also use a cast iron skillet that can go from stovetop to oven. When pan is extremely hot add the burgers. My pan is already seasoned and doesn't even need oil. 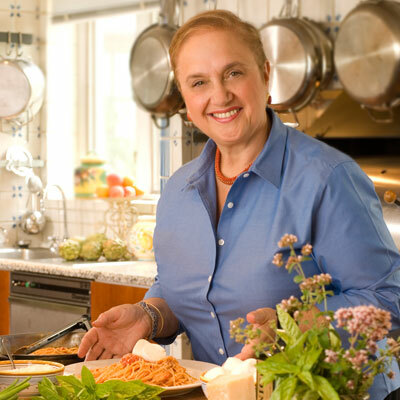 If you don't have a seasoned pan, spray with PAM or use 1 tspn extra virgin olive oil. Don't move the burgers around in the pan. Cook just until you get the grill marks - about 3 - 5 minutes each side. Lift just a bit using tongs and flip when the grill marks appear. The sides of your burger should look pink (raw). Cook until the mushrooms are soft and caramelized - they should look like the picture above. This is the busiest week of the year for people doing Broadway house seats (that would be me). I am literally moving tens of thousands of dollars in tickets every week in December. And yet, I had to move offices today. Last night, the painters arrived to paint my old office. They were literally moving furniture around me as I frantically typed out a few remaining house seat requests for the day. I had been on the 15th floor of our building and am now on the 16th floor. I worked on the 16th floor for the first 7 years that I had this job. I went down to 15 about a year and a half ago and am now back. It was sad to bid adieu to my friends on 15 but I feel like it's a homecoming returning to 16. So, I'm slammed again today and working in chaos, but once everything is put away and the pictures are hung, I'll be happily settled. 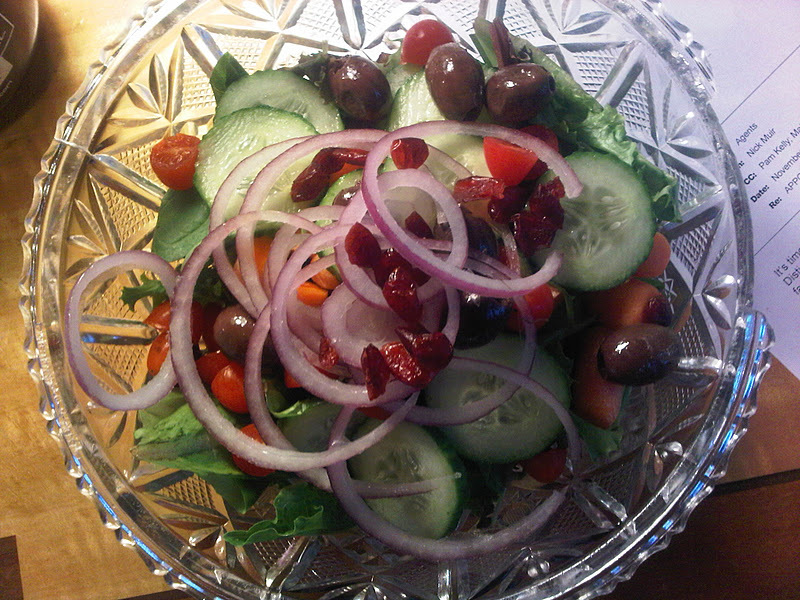 And, I made my usual salad for lunch instead of coping out and ordering in. we went off the Skinny Guy template last night! Last night was another story, however. 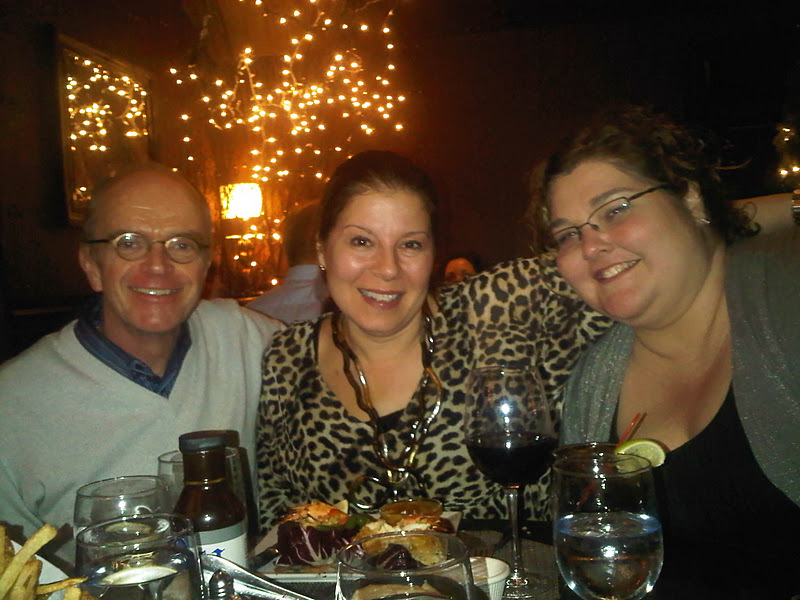 My friends and colleagues Theresa, Lonnie, Deana and I went for dinner at the Old Homestead after our office party last night. We had french fries. We had mashed potatoes. We had steak - my first since last July. I didn't make much of a dent in it, but Hubbell will be in doggie heaven for his next few meals! 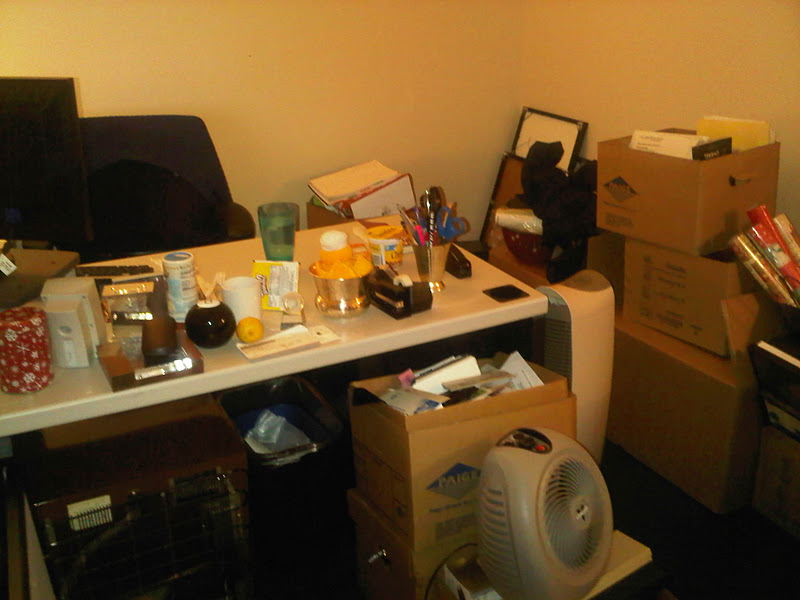 Tomorrow is my last day in the office until January 3rd! I'll work from home a bit but I plan on spending lots of time exploring new skinny recipes and posting about them. Stay tuned! An Italian Christmas Eve. A Mexican-American Christmas Day. A Chinese New Year. A Passover Seder. Four holidays, four very different tables and traditions. 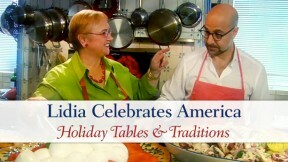 Join celebrity chef and culinary author Lidia Bastianich as she travels across America in a celebration of culture through food in the new PBS prime-time special, Lidia Celebrates America: Holiday Tables and Traditions, airing Tuesday, December 20, at 8pm on PBS (check local listings). I have an advance copy of the show and will screen it over the weekend and post about it next week. Stay tuned! I buy the As do Mar tuna. It's from Portugal, canned in Genoa and sent to the US for distribution. It is packed in oil. I had avoided tuna packed in oil for years until I discovered that they have more taste and character than your run-of-the-mill Bumble Bee tuna. I was finding the Bumble Bee was getting mushier and mushier. The As do Mar tuna has a darker coloring and firmer texture. There isn't a fishy smell when you open the can. It's delicious. It should be noted that canned tuna fish can be high in mercury so best not to have it more than once or twice a month. I added a bit of champagne vinegar and red pepper flakes and retained some of the oil it was packed in for extra flavor. No need to add mayonnaise. I arranged three layers of the radicchio. I scooped the tuna mixture into them and around the sides I had the fillings: cornichons, hot peppers and Kalamata olives (pitted). I ended up having all three fillers in each roll-up. I also had two layers of the radicchio leaves for more texture and crunch. 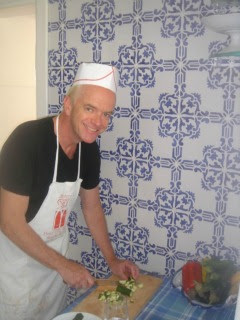 Just chose your toppings, place on top of tuna and roll up the leaves to make little sandwiches (without the bread). I found this a bit more fun than a traditional tuna salad with a scoop of tuna sitting on a bed of lettuce. Vincenzo plopped the yellow pepper on the counter, handed me a knife and commanded in his wonderful Italian accent: "Julienne!" This is another amazingly easy dish that is pleasing to the eye and the palate. Vincenzo kept the dish simple using only the peppers and oregano. I added cherry tomatoes for a little bit more color and, as you may have noticed, I love tomatoes! 1 pepper - I like yellow - sometimes I use 1/2 yellow and 1/2 red - it's up to you! Slice the halves into a julienne - I cut mine on the thick side about 1/8" - 1/4"